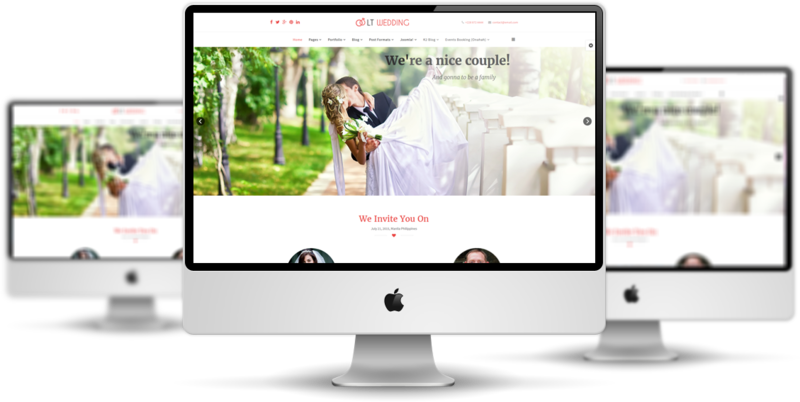 LT Wedding Onepage is a responsive single page template of LT Wedding Joomla template that specially designed for Wedding Planner/ Wedding websites to showcase business as well as get the events well known to all people. It gives an amazing look with entirely responsive, clean and stylish on mobile devices. 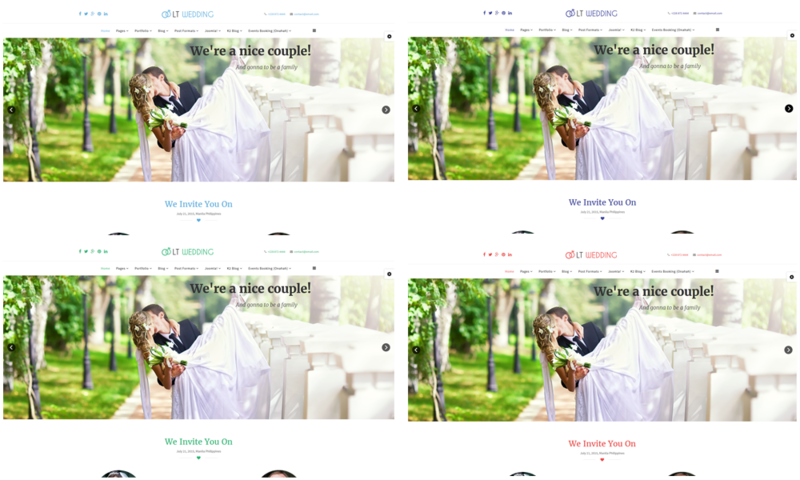 Coming with 6 colors schemes, but in fact, it is really customizable, drag & drop tools and color settings, LT Wedding Onepage will not let you disappointed by its great design and convenient in installing and modifying. Let’s build gorgeous events together and make it famous now! 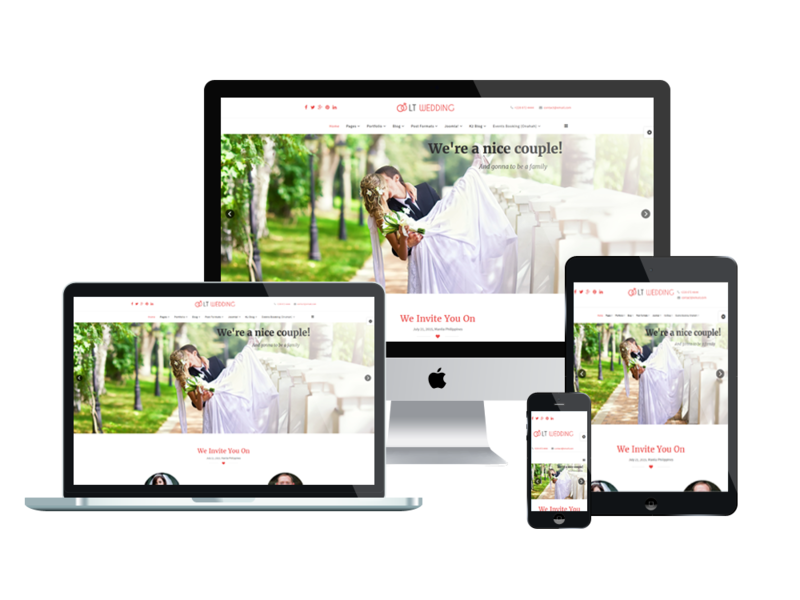 LT Wedding Onepage supports mobile devices with responsive layout. The template framework with strong shortcodes, unlimited module positions, and easy to drag-drop layout content. Stop pay for every months with limited support and expensive cost, start with lifetime support and once payment with cheapest cost. It depends on your plan, if you purchased Pro Unlimited package, you can use it for unlimited client websites. With Pro Unlimited, you offer Free Install Service for one domain, if not you can order Install Service Package. We provide QuickStart package which you can install to get demo data like our demo site. This package use Akeeba Backup to build, and you can restore it based on Akeeba Kickstarter easily. Just run file ‘kickstart.php’, more details about this, please read our blog instruction about this at here. Please notice that only Pro version can download Quickstart package.